Fireweed, or chamerion angustifolium, is a true survivor. The picture above shows it blazing magenta around burned-out trees, a familiar sight to northerners. The seeds are their secret weapon: like dandelions’, they’re fluffy and borne on the wind, which gives them a long reach. There can be up to 500 seeds from a single plant, and they wil come back from a tiny bit of root left in the ground. If you want to be nice you can call it a pioneer species, which sounds enterprising and brave. I know I sound sarcastic, but it is apparently a very useful plant since it will recolonize oil spills. Even scarier, fireweed can be used to find uranium deposits, since the uranium causes a mutation that results in many more white flowers than usual. Seed heads, by John Lofgreen. Native people have a legend about fireweed; once a young man was wounded and captured by an enemy tribe, and his girlfriend came to rescue him. She set a fire at one end of the camp as a distraction while she carried the wounded man away. Unfortunately, they were spotted, and the other tribe gave chase. The Great Spirit took pity, and fire shot up out of the girl’s footsteps and blazed through the forest. The two got away, and fireweed sprang up wherever the fires had burned. Fireweed does have medicinal uses, and is good for the skin. The Ojibwa called it soap root and used it as poultice.The Woods Cree of Saskatchewan used it to expel internal parasites, and the Blackfoot used it as an enema, or to treat constipation. 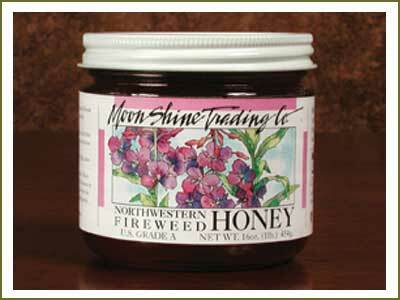 Fireweed honey from Moon Shine Trading Co.
Epilobum is circumboreal, meaning that it has colonized the forested parts of North America and Eurasia. This distribution map shows how it has colonized most of Canada and the US. 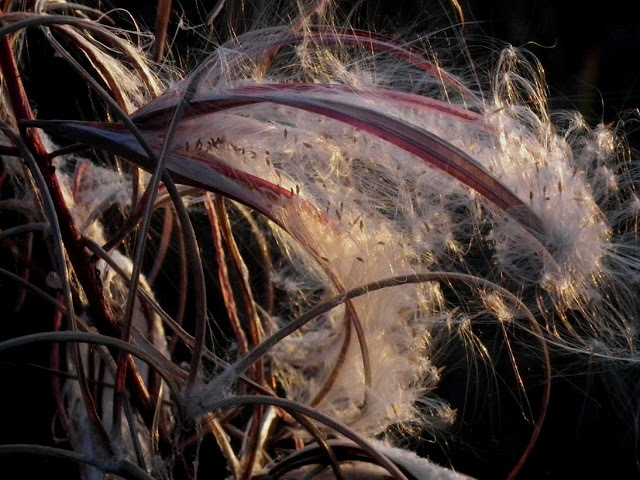 On a less environmental note, legend has it that each fireweed is the soul of a tree that caught fire. 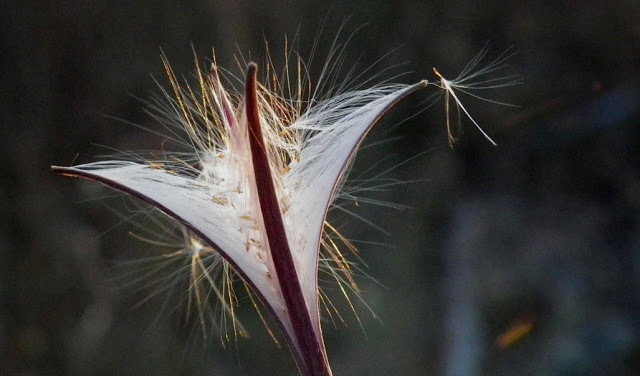 Fireweed seed head. By John Lofgreen. I tagged my post today with fireweed, and after publishing it, saw that many other posts were about this plant. I read several of them. Yours was very informative. I live in North Idaho, and have always loved this plant. It has amazing beauty and hardiness.